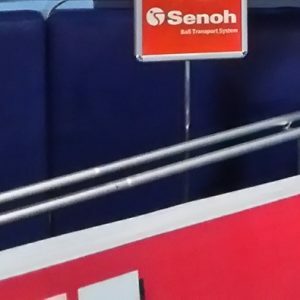 Senoh Ball Transport System debuts in the first match of The 2016 FIVB Women’s Club Championship in Manila, Philippines, on October 18, 2016. In previous competitions, ball retrievers were located in front of LED panels and balls were rolling before sponsors advertisement. Senoh started a joint development with Mr. Peter Bratschi, former CEO of Eventcourt, and produced the ball transporter. This system is installed behind the LED boards and enables smoother ball rotation without disturbing brand visibility of sponsors. Also, this system is easily carried, assembled, and adjusted in length and height depending on the space. 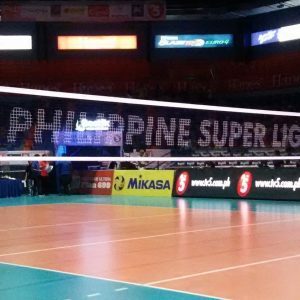 The ball transporter was tested during the games of Philippines Superliga (PSL) Grand Prix, that was open on Saturday, October 8, with the support from Mr. Ramon Suzara, the president of PSL.